It’s been nearly three months since I started my blog. I am slowly getting what I have to do as a blogger but in order to do it properly I am going to follow the instruction of “Blogging 101” & “Photo 101” for the next few weeks. Today is Day 1, so let me re-introduce myself to you. I am Japanese and live in London. I like creating things, anything visual but particularly FOOD. I love eating and making food. So did you guess? Yes, I am a Food blogger. I post what I make & eat or show you something I think interesing. As a Japanese foodie I would like to introduce you to Japanese food other than just Sushi. I am passionate about making Japanese Sweets. They are very different from any western sweets. Many of them are Dairy/Egg/Gluten-Free. I have been planning to post ‘How to Make Japanese Sweets’ for a while, however, I had to rearrange my plan to post starting from the very basics. So it is taking a little bit longer but don’t worry I will start posting very soon. 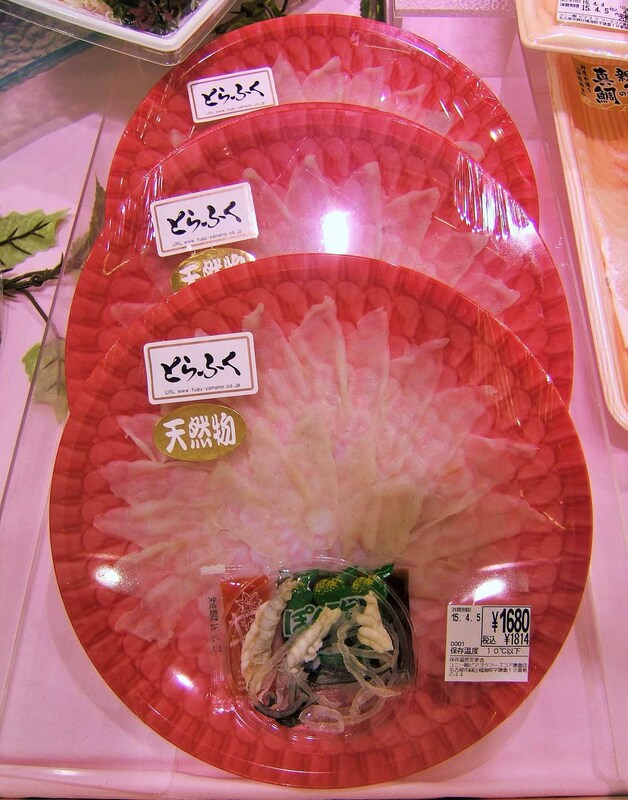 I just came back from Japan and my blog is in the middle of the report on Visiting Japan, so for another assignement ‘HOME’ I introduce to you the Supermarkets in my Home Town in Japan. There are three supermarkets near my mother’s house. They are all ordinary sizes and nothing special in Japan. However, what you find there is a feast for the eyes. ‘Sashimi’ always looks so fresh & very inviting in Japan. 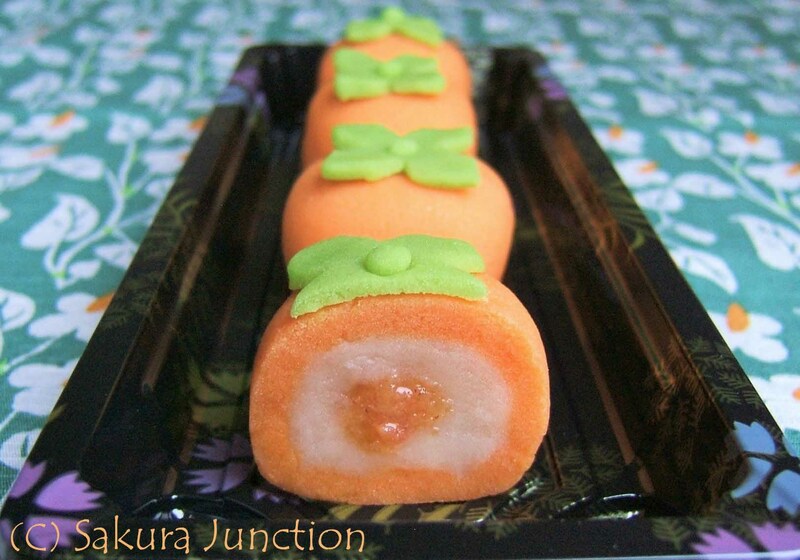 Welcome to Sakura Junction and my first post on this blog! 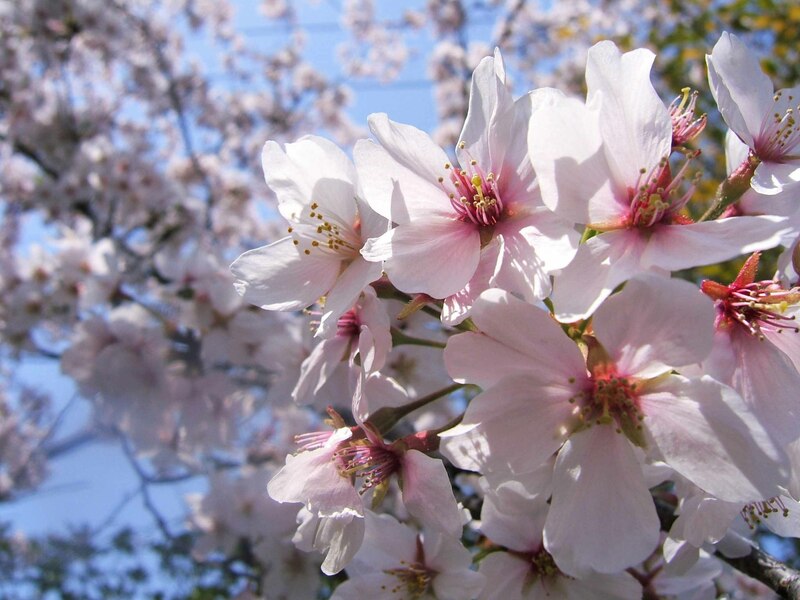 I am very pleased to start this website ‘Sakura Junction’ at spring – Cherry Blossom time. It’s because ‘Sakura’ means Cherry/Cherry Blossom in Japanese. Japan is famous for cherry blossoms and Sakura is our National flower. 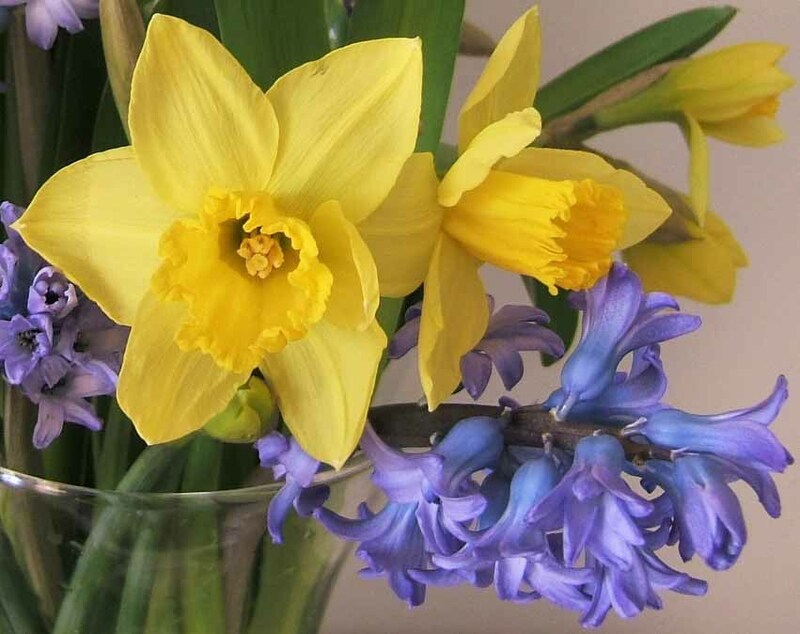 There is no any other season more suitable than spring for the start of ‘Sakura Junction’. I have been wanting to be involved in food production for many years, particularly Japanese Food. WHY? It is because there’s been a kind of trend in Japanese Food here in London for several years, however, people don’t really know much about Japanese Food. 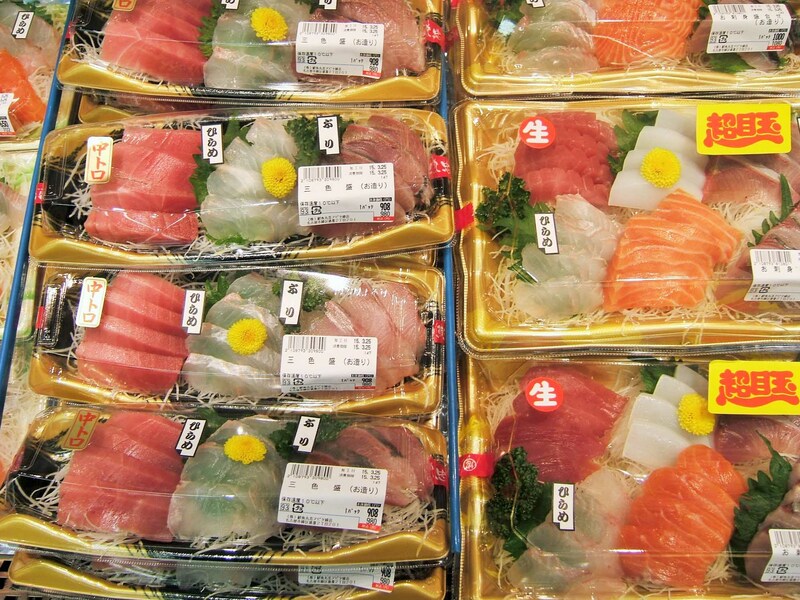 How many Japanese dishes can you name other than ‘Sushi’? Japanese street food is becoming quite popular recently so you might know ‘Okonomi-yak’ or ‘Tako-yaki’. And our most recent hit in London ‘Ramen’ is the one that foodies are talking about right now! Basically there are so many different types of food in Japan. So I want to introduce Japanese Home Cooking to you. You may have tried to make some Japanese food before but got stuck with unfamiliar ingredients? I am going to adapt the ingredients and use only the stuff you can find in London without any difficulty. rice flour and sugar so that they are Free from Gluten, Dairy, Fat/Oil and Egg. Carbohydrates burn cleanly in our body unlike butter & cream with high content of Fat/Oil. Beans are thought to be a healthy food option anyway, so that overall Japanese Sweets are much healthier than pastries. I hope my blog will inspire you to cook more Japanese Food.